Bengaluru FC registered a hard fought 1-0 victory against newly crowned I-League champions Aizawl FC in a thrilling encounter. Cameron Watson scored from the spot in the 8th minute after Alwyn George was fouled inside the box. Aizawl FC spilled a golden chance to draw level right at the end but Lalram Chullova failed to convert a penalty as Bengaluru FC went through to the final. 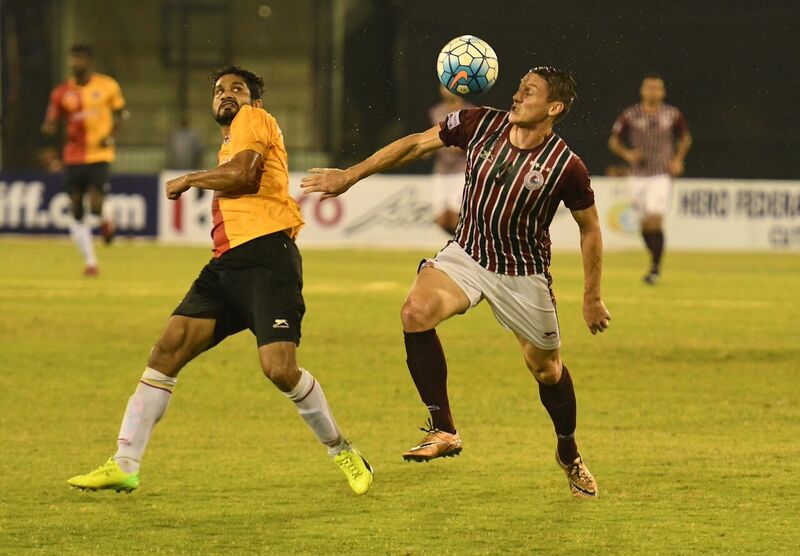 Mohun Bagan got the better of East Bengal yet again with a sweet 2-0 victory in the second semi-final match. Goals from Darryl Duffy(35th) and Balwant Singh(84th) ensured their progress to the grand finale. Duffy scored from a wonderful Sony Norde cross in the first half to give Mohun Bagan the lead. East Bengal had the better share of chances in the second half but their wastefulness and some fantastic goalkeeping by Debjit ensured a clean sheet for the Bagan defense. Balwant Singh sealed the match in Mohun Bagan's favor with a superbly timed acrobatic volley after being fed by Katsumi Yusa from the right.